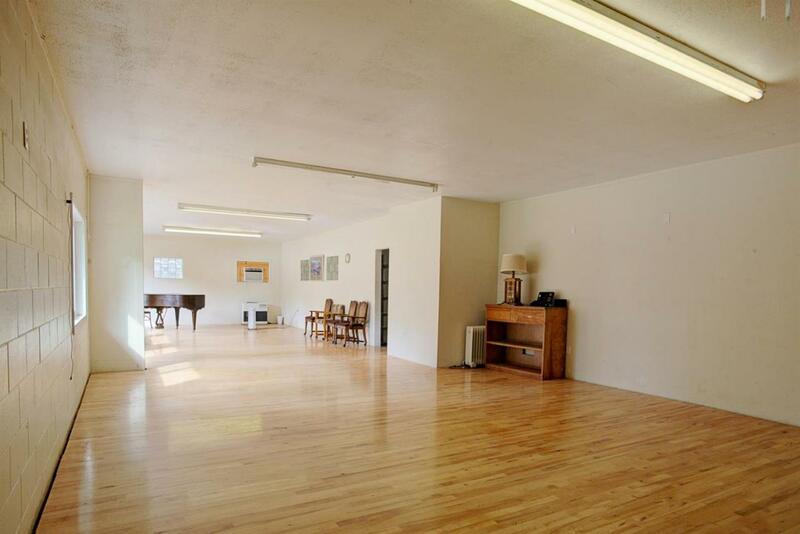 This commercial property located on Caves Hwy, close to downtown, is currently decked out to be a dance studio, but could just as easily be a meeting house for a small church, retail outlet or any number of commercial ventures. The front yard is fenced. There is a handicap accessible bathroom. The property is divided by a wooden fence, which separates the commercial building from an older mobile on the back of the land. There is no value in the mobile itself, but it is currently rented.